Washington: Nearly three-quarters of parents begin deciding which vaccines they want to give to their child before pregnancy, US-based research has found. The findings suggest that efforts to educate parents about the importance of vaccinations for their children might be more effective if they begin prior to pregnancy. Researchers at the North Carolina Children’s Hospital surveyed 170 mothers and fathers in the postpartum ward who had given birth between February and April 2015. A significant majority (72 percent) reported starting to develop vaccine preferences for their newborn before conception. 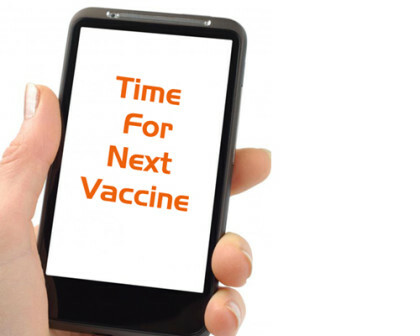 “Perhaps not surprisingly, 77 percent of parents of previous children had already thought about vaccines for their new baby before pregnancy,” said lead investigator James Yarnall from University of North Carolina at Chapel Hill. But even among first-time parents, 66 percent of respondents said they were already focused on vaccines before becoming pregnant. Parents who had previously talked with their partner about vaccines for their child and parents who were more highly educated were more likely to begin deciding on vaccines before pregnancy, the findings showed. The study will be presented at the American Academy of Pediatrics (AAP) National Conference & Exhibition in Washington, DC on Monday.